As you can see, Homelink is the next generation in car-to-lifestyle connectivity. Learn how to program this system. Then, explore the benefits of Homelink. 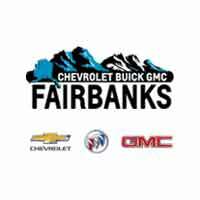 If you have any questions, do not hesitate to reach out to Chevrolet Buick GMC of Fairbanks. Once the ceiling lights begin to flash, hold the button you would like to program while holding the open/close button on your garage door opener. The lights should flash slowly and then rapidly. This succession should indicate that the programming is complete. Head on over to your garage. Press the “learn” button on your garage door opener. Return to your Chevy. Press the button on your car for a minimum of two seconds. You might see the lights on your garage door opener flash. This indicates that the two devices are connecting. Voila! There you have it. You’ve connected your garage door opener to your car. Battery-free: Your Chevy’s electrical system powers Homelink. You’ll never have to worry about changing batteries, then. Compatibility: Homelink works with nearly every garage door opener or gate system out there. It also works with a range of radio-frequency controlled devices. Control for Up to 3 Devices: Enjoy total control with connectivity for up to three devices. Easy to Use: As noted above, connecting your vehicle to your home is just a matter of pressing and holding a few buttons. Safety and Security: This system will allow you to know whether you left your garage door open. Homelink applications will also give you remote control over in home electronics and applications. Explore More Chevrolet Technologies at Chevrolet Buick GMC of Fairbanks! If you find that you need additional help programming your Homelink, or Chevy MyLink system, the certified service techs at Chevrolet Buick GMC of Fairbanks can walk you through it. If you’d like more information, or have any questions like how to start your car in the winter, please don’t hesitate to contact us online.